I think too often we live our lives looking for logical, or rational, explanations for things and we miss a great deal. We become so consumed with trying to parse life and life’s many aspects that we actually forget to see the larger picture and live a full and abundant life. We dwell on the small things, perhaps those things that hurt us, and those negative thoughts become the dominant direction and focus of our thinking. When we do this we fail to see the larger picture of God’s grace and possibility. We run the risk of missing a great deal of God’s truth being revealed to us and in so doing we live our lives on a very surface level with an “I can and need to do it all on my own” attitude. I love watching little children play. They start out moving from one thing to another with seeming grace and joy. Later they begin to say to us “I do that” and they want to tie their own shoes, dress or feed themselves. This is good because they learn to take care of themselves and learn the value of accomplishment. As we grow older our attitude of doing everything ourselves can carry over into our spiritual lives. We fail to remember that we have God on our side, we fail to remember that Spirit is available to help us and in reality it is Spirit that is doing the heavy lifting for us at this and every moment. It is because of Spirit’s presence that we can endure. We have within us an amazing device called intuition. It is that still small voice, that “gut feeling” if you will, that often speaks to us with clear and direct messages of what we should do and what decisions are best for us to make. As we travel the road for this thing that is our life we must always remember that Jesus is with us to map out our route. (Remember the old days when you would go on a trip, get a Trip Tic from the Auto Club and go with the assurance that your travel would be in good order?) Our route may sometimes be on roads that are clear, straight, level and with beautiful scenery, but should we wander off course and find that our travel has hit bumpy roads, with scary sites all around us and hills that are difficult to climb, we can know that Jesus is still with us. We are God’s beloved child, brothers and sisters with the Christ, and we can re-direct our course by trusting in the Divine Presence to pull us through. Though we may think it is through our own efforts that we are navigating those bumpy roads and getting up those hills, it is indeed the Christ who is helping us to get from where we are to where we desire to be. All roads lead to Spirit. We just have to be willing to make the journey. 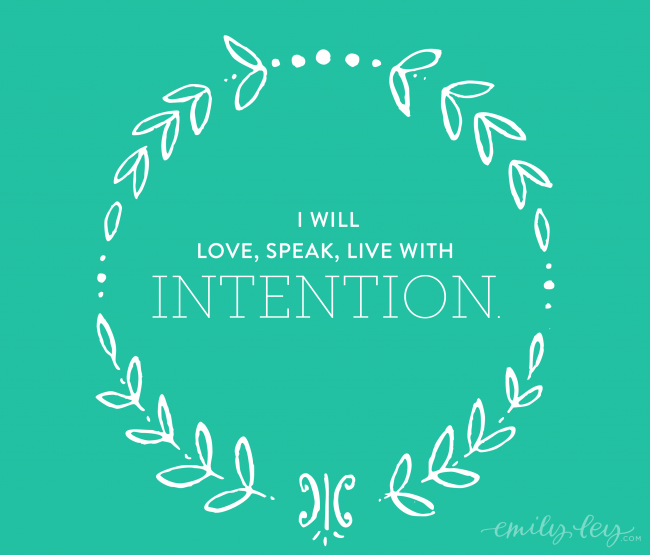 What intentions are you setting for your life today? What is it you desire to experience in this new year? All too often we live our lives without thinking clearly about what we wish to experience and as a result our journey is more like playing bumper cars (bouncing off obstacle’s and disapointments) rather than it is moving from one well thought out plan to another. What we think about, dwell upon, and affirm for ourselves becomes our experience. We see good because we look for good. We see possibility because we look at circumstances in our lives and see that there can always be more, not less. An intention can be as specific as you would like, (a new job, relationship, home) or it can be more general, such as wanting to experience more happiness, joy and the presence of Spirit God working in your life. As we set our intentions we must always make sure that we leave room for God to bless and support us. God can take our intentions and multiply them in ways that are far and above what we could have ever on our own imagined. When we realize that we co-create our lives with God we open ourselves up to more exciting revelations of all that an abundant life can be. So, I ask again. What intentions are you setting for you life today?